As designers, there are always limitations to consider when we start a new project. A client’s needs are the number one priority driving the design, but there are always a number of design constraints that affect how we as designers approach crafting a solution. Some design constraints are physical. Paper and ad size limits (or file size limits for web work) affect the physical structure of a design. Some design constraints are a little more indirect. For example, a project’s timeline informs the amount of time we have to spend creating the final product. Some design constraints are a mixture of the two. Client budget affects the amount of time a designer has to complete the project, along with things like the number of colors to print and whether the design can bleed off the page. All of these stipulations change how we work on a design, from the time we spend on it to the colors, typefaces, and graphics we use to communicate our client’s message. 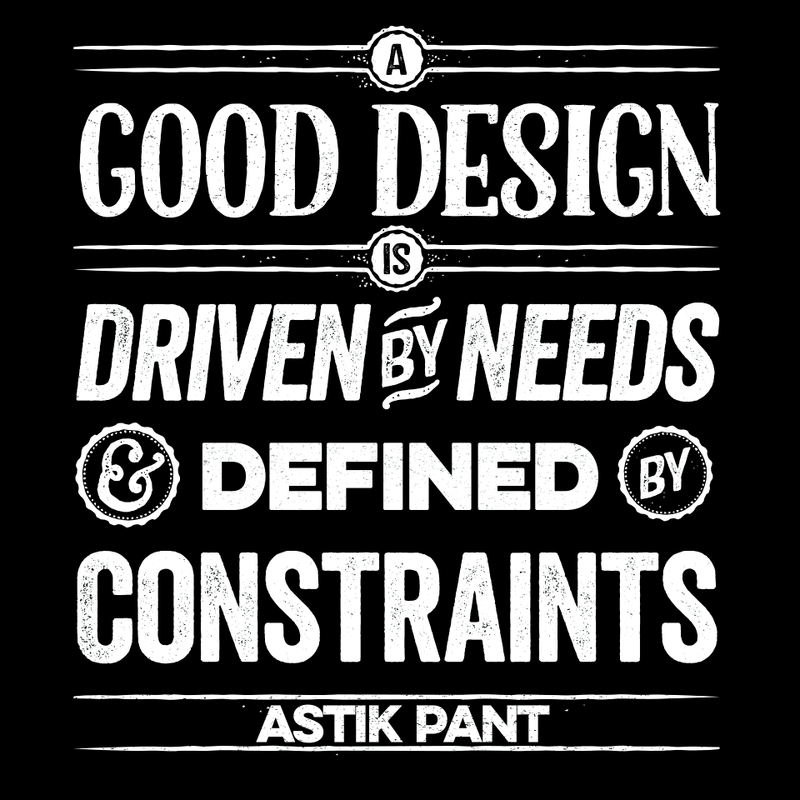 Creating a good design within these constraints takes a lot of training and a lot of practice. But at the end of the day, good designers work with their clients to deliver the best possible solution, no matter the design constraints.